It's already almost too cold in Edmonton to wear the cute blazers I've been waiting all year to wear, but the afternoons are just crisp enough for a good cardigan, a cozy blanket scarf and a nice pair of boots. It's no secret my style is casual and comfortable, so I've gathered some of my favorite pieces to create my ideal Fall outfit. 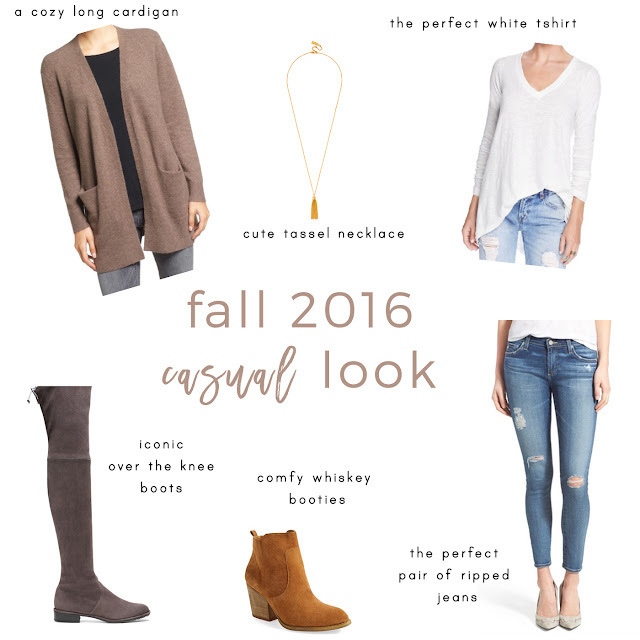 What's your perfect outfit for Fall?